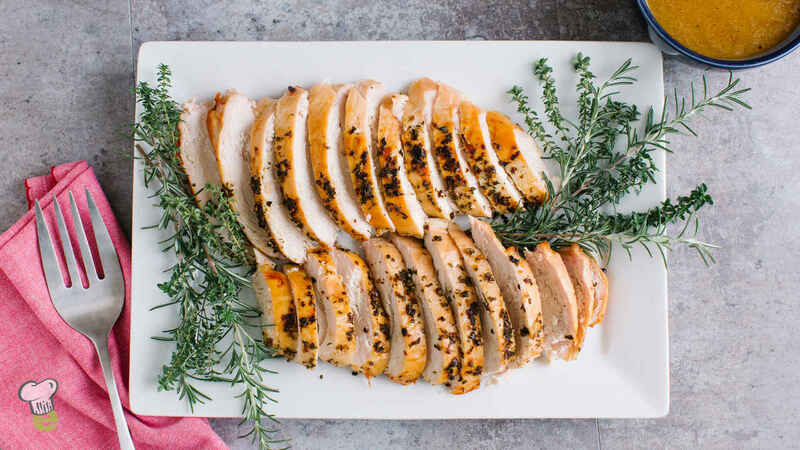 If you don't want to battle with an entire turkey, making a turkey breast is an easy alternative. Plus, a turkey breast is all white meat, a healthier option than higher-fat dark meat. A 6-lb bone-in breast will serve 8 people.